Leslie Sacks Gallery is pleased to announce an exhibition of graphic work by renowned artist, Jasper Johns. 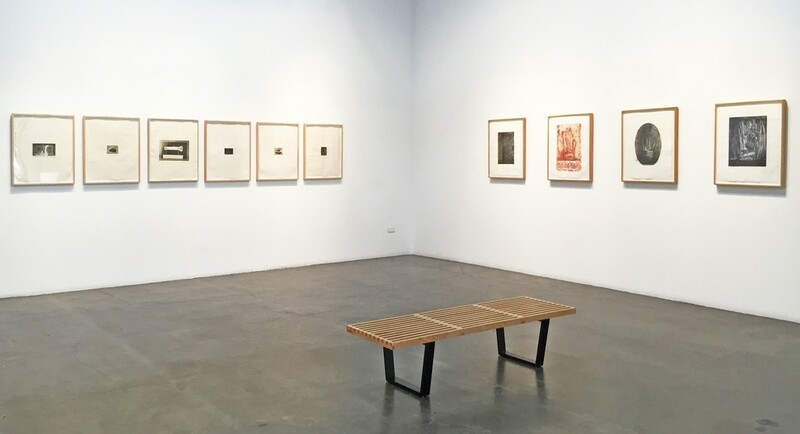 The gallery will present its collection of Jasper Johns lithographs and etchings from 1967-2012. Many of these editions were printed and published by revered ateliers such as Gemini G.E.L., Universal Limited Art Editions (ULAE), Petersberg Press. A wide range of Johns’ iconography is represented in the exhibition, including Savarin cans, targets and numerals. 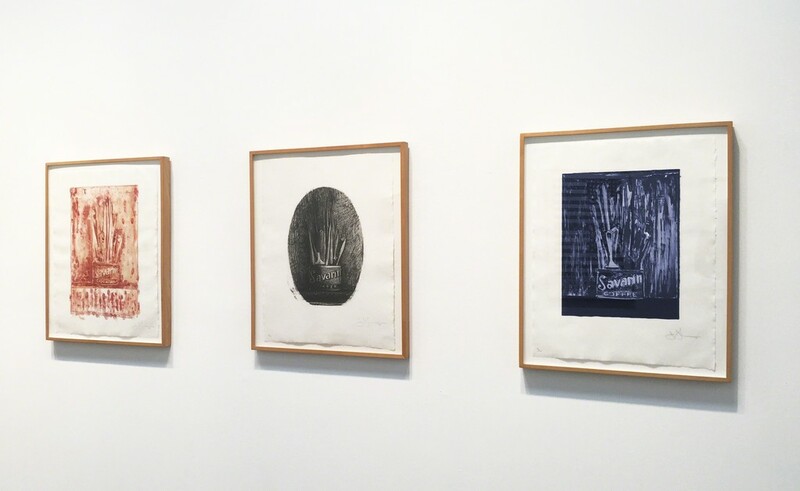 Jasper Johns’ first series of etchings was 1st Etchings, 2nd State, 1967-69 (image below Flashlight). The portfolio of 13 etchings published by ULAE was comprised of quintessentially Johnsian imagery: ale cans, flags, flashlights, numerals, and light bulbs. The objects are as Johns describes, “things the mind already knows”, which thusly allows him to deconstruct and reconfigure the object into near abstraction whereby a new connotation can emerge. Processes like etching and lithography reverse the image, a characteristic that Johns admires. He also relishes in the nature of multiplicity and variants, which allow him to revisit themes and objects finding endless combinations in reworking plates and stones, sometimes years later. The work of Jasper Johns is held in esteemed and numerous public collections including the Art Institute of Chicago, Chicago, Illinois; Hirshhorn Museum and Sculpture Garden, Washington, D.C.; Jewish Museum, New York, New York; Kunstmuseum, Basel, Switzerland; The Metropolitan Museum of Art, New York, New York; Museum of Fine Art, Boston, Massachusetts; Museum of Modern Art, New York, New York; Museum of Modern Art, Paris, France; National Museum of American Art, Washington, D.C.; National Gallery of Art, Washington, D.C.; National Museum of Stockholm, Sweden; Pasadena Art Museum, California; Philadelphia Museum of Art, Philadelphia, Pennsylvania; Städtische Galerie, Frankfurt, Germany; Tate Modern, London, England; and the Whitney Museum of American Art, New York, New York.